Andrew's teaching on Healing in MP3 format. 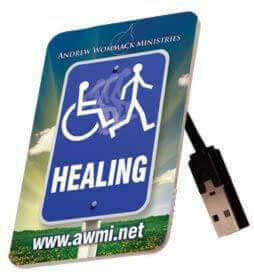 Over 43 hours of related teachings on healing are included in this simple, easy-to-use USB stick. That's £124 worth of teaching now available for only £60. Use it, share it, give it to a friend or loved one.